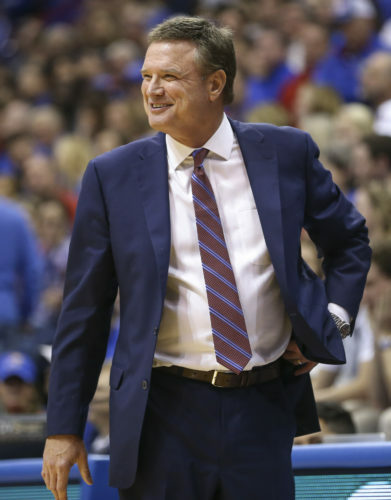 As graduation 2018 comes and goes and next season’s Kansas men’s basketball players head home for a few weeks before reporting back to campus on June 2 for the start of summer classes and workouts, Bill Self’s Jayhawks remain in possession of a valuable commodity — an unused scholarship. Thanks to the departure of five scholarship players from last year’s team — six, if sophomore center Udoka Azubuike elects to keep his name in the draft — and the fact that the 2018 recruiting class features just four replacements, KU still has one spot left to fill before the 2018-19 season arrives. Because there are no seniors on the 2018-19 roster, there is no guarantee that Kansas will get any scholarships back to use on prospects in the loaded 2019 recruiting class. With that said, it seems likely that KU will have at least two or three open spots after next season because of the potential for early departures from players like Dedric Lawson, Udoka Azubuike, Silvio De Sousa and Quentin Grimes. That’s not to say the Jayhawks definitely will hold on to the scholarship instead of giving it out. 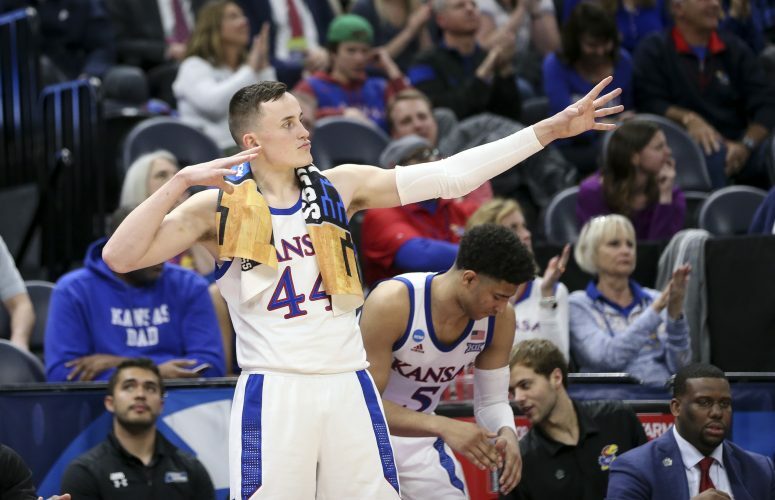 Just last week, KU welcomed grad transfer Joe Cremo to town for a visit — Cremo ultimately committed to Villanova — and Self and his coaching staff remain on the lookout for the right addition to the 2018-19 roster. Finding that player is easier said than done, however, given the fact that most of the 2018 talent is already spoken for and very few high-major prospects, if any, remain available. 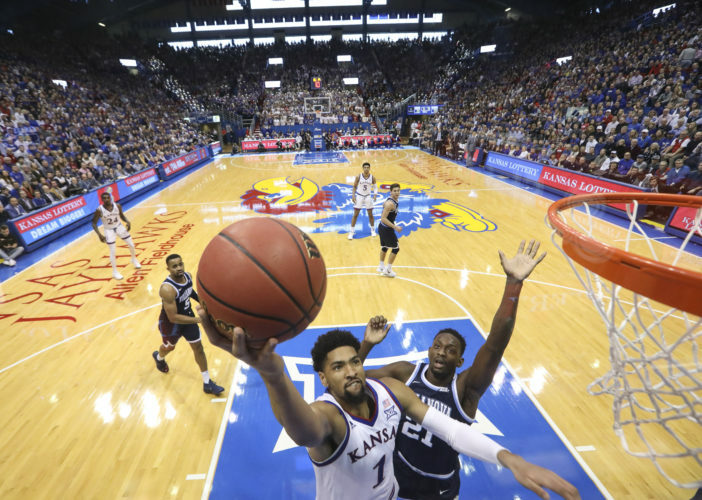 The other option for the Jayhawks, as they have shown a willingness to do in recent years, is to take a transfer who would have to sit out the 2018-19 season the way Malik Newman sat out 2016-17 and Dedric Lawson, K.J. Lawson and Charlie Moore sat out the recently completed 2017-18 season. The bottom line, at least as of today, is this: While Self and company would be open to filling the spot if the right player surfaced, they have no plans to use the scholarship just to do it and also feel no pressure to get it done quickly. While there are players out there who might be considered intriguing options, Self said he and his staff were still in the starting blocks for the few players who are on their radar. And with Self leaving to coach the U18 USA Basketball team on May 30 through the middle of June, things could be put on hold for a while anyway.